1.The festival grounds were beautiful, but hard to reach. 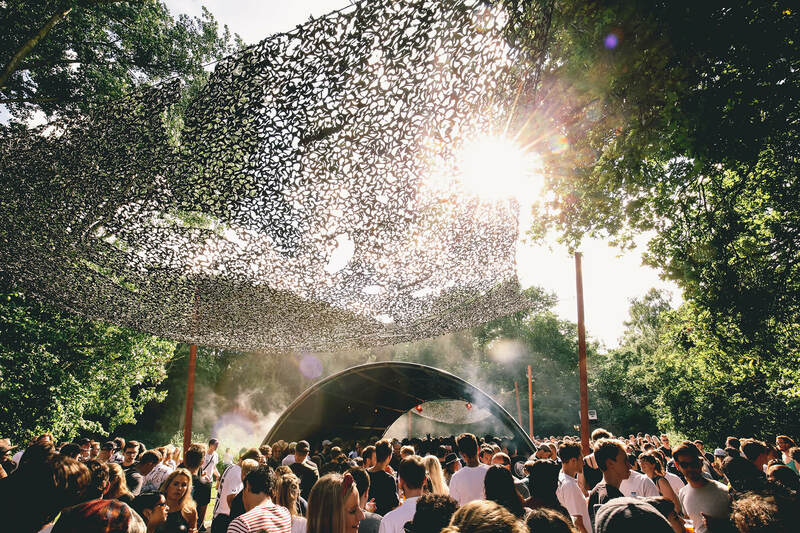 We’d seen photos from previous editions of Dekmantel before, so we already had an image in our minds of the lawn in front of the main stage and the trees overhanging the booth and dance floor at the Selectors stage. Friends who attended the festival in previous years warned us that it can be a bit of a trek to get to the grounds, and boy were they right. Every public transportation route to the entrance seemed complicated and time-consuming, even when the starting point didn’t look very far from the Bos on a map. 2. There were a lot of British bros around. Perhaps we only knew to anticipate the high rate of boistrous lads and their piercingly loud 18-year-old girlfriends because of the comments in our review of Dekmantel’s second edition. They were there, but they weren’t very obnoxious. And it’s fun to watch them shuffle. 3. The food was yummy. The food trucks had a little something for everyone, from crepes both savory and sweet to curries, vegan sandwiches, smoothies, coconuts and Dutch fries. We hope this standard becomes a staple for large-scale events around the world. 1. The festival was smaller than we’d imagined. We blame this mostly on two things. 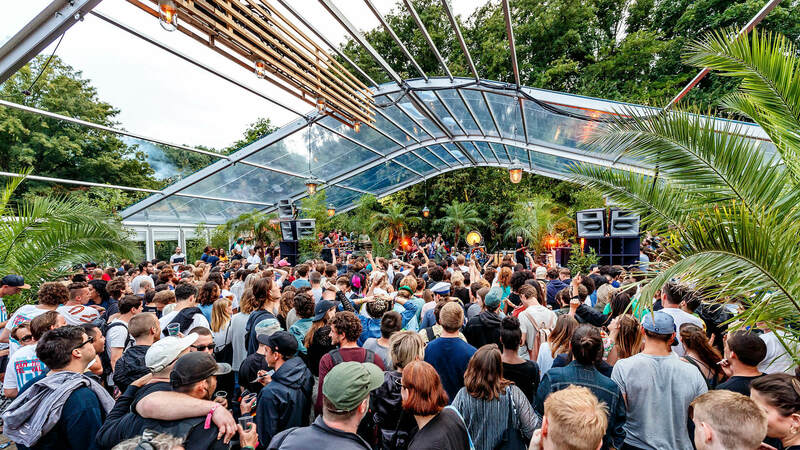 Firstly, Boiler Room’s footage of their woodland stage during previous festivals is pretty misleading because it makes its tiny enclosure look way bigger than it really is. Secondly, the amount of hype Dekmantel gets in underground circles led us to imagine a pretty massive gathering, which probably speaks to how skewed our perception of what’s mainstream and what’s underground is. You can actually walk from one end of the grounds to the other in five minutes or less—especially when you get the hang of it. We wouldn’t say it felt intimate, but it definitely seemed somehow cozy at times, or at least manageable. 2. It was less shmooze-y than we feared. We had anticipated that it’d be hazardous to really let loose at Dekmantel in case we ran into our bosses, a former coworker, someone we want to work with or someone else with whom we have professional contact. But we’re happy to report that virtually every industry person we ran into at Dekmantel was chill, and although the site was small, it was still possible to spend a whole day without running into anyone. Maybe the unchill people all checked this festival off their lists in years pasts. 3. Weed is not legal at Dekmantel, and the security will use that as a reason to confiscate yours. There must be some legal reason for this ridiculous loophole in a city world-famous for its legal marijuana, but it still somehow seems outrageous and unforgiveable—especially because you KNOW the stoner park ranger who nabbed yours is going backstage to smoke it right away. 1. Dekmantel has great sound, solid musical curation and a chill crowd at a beautiful location. What you’ve heard about Dekmantel is indeed true. We’d recommend this one to anyone who enjoys three-day outdoor festivals. It lives up to its hype. 2. Sets by Ricardo Villalobos, Lena Willikens and Digital Mystikz. Dekmantel 2016 started out strong with an opening set from master DJ warlock and high priest of minimal Ricardo Villalobos. It was an effortless stream of consciousness psychedelia propelled by clipped percussion and flawless mixing, and it seemed so natural and easy that we half-believed it was a robot DJ in Ricardo’s clothes. The next day, Salon Des Amateurs flag-bearer Lena Willikens stepped up to the Selectors stage in front of a crowded dance floor after a few hours of groovy daytime crowd goosers from Beautiful Swimmers. Within 15 minutes she drove away a good 50 percent of the bodies with stoner jams that seemed harsh in comparison to the funkadelic vibes that preceded it. We found that fearless and badass, and not at all a reflection of her skill as a DJ. We reckon people just aren’t ready for her vision this year, but next year when she’s as famous as Helena Hauff, her floor will be full. The closing set from dubstep legends Mala and Coki shut down the Greenhouse with a wiggy group of dancers who were ready to get low. 3. There’s never a dull moment. Perhaps this is typical of outdoor festivals, but there was never a lack of things to do at Dekmantel. There was always something worth seeing onstage somewhere, always a friend to run into, food to eat or chill places to relax and recuperate. That made for a positive experience overall. 1. It could have been easier to get there. We would have found the main festival entrance much faster if it had been clear where it even was. The Amsterdamse Bos is a big park, and the Dekmantel grounds only take up a portion of it on one side. If you rock up to the wrong end of the park (which would be the east end, we found) then you could end up spending an hour or more walking through the park trying to find the actual festival. For next year, we’d be relieved if the main entrance was marked on an official map, as we found several conflicting maps and listed addresses. 2. Find a better venue for the night events. Our first choice would have been to stay at the park past 11 p.m., but we assume noise complaints or other legal restrictions prohibit Dekmantel from carrying on into the night. Our second choice would be to kick on to De School—which we did—but we figured that it’s not big enough and its door policy is too exclusive to allow for all ticketholders to come through. Our third choice would beeeee…probably any other club in Amsterdam besides Melkweg. 3. Book more WOMEN!!!! (And take more risks in general.) No excuses. We found the bookings in general to be dependable, but also very safe and unadventurous. A festival with a strong reputation like Dekmantel can definitely afford to take more risks in their bookings, which would include booking more women and breaking out of the mold they’ve created with the first three years. At this point it feels like the bookers are picking from the same pool of artists every year. 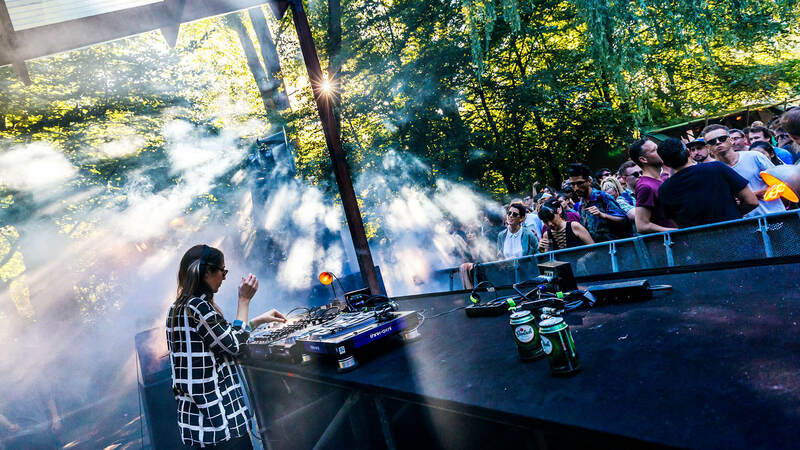 We will hereby be disappointed if the only women playing Dekmantel 2017 are Veronica Vasicka, Lena Willikens, Helena Hauff, The Black Madonna, Holly Herndon and a longtime Panorama Bar resident.